At TequilaList we are always trying to keep updated on all the other agave searchers out there. Some we find in good company at tequila og mezcal tastings, and some we stumble upon on the internet. Mezcalreviews, which we have just recently discovered, was a pleasant surprise. They seem to have taken a very professional attitude to communicating their reviews in systematic and easily readable way. A: Mezcal Reviews was created by Tyler and Jonny. They met several years ago as college undergraduates in upstate New York. They now both live in Austin, Texas which has a growing mezcal scene. 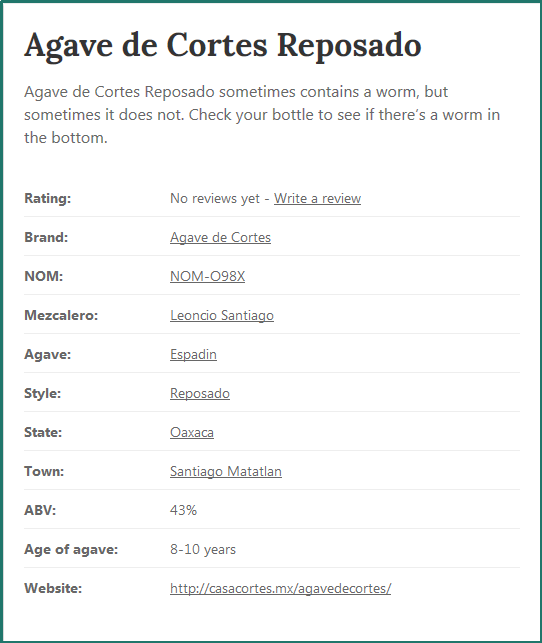 Q: I really like the organized structure of mezcalreviews.com. It has from the start been structured and an index, but with a blog. Makes it very easy to use and read. What were your thoughts when you started mezcalreviews.com? 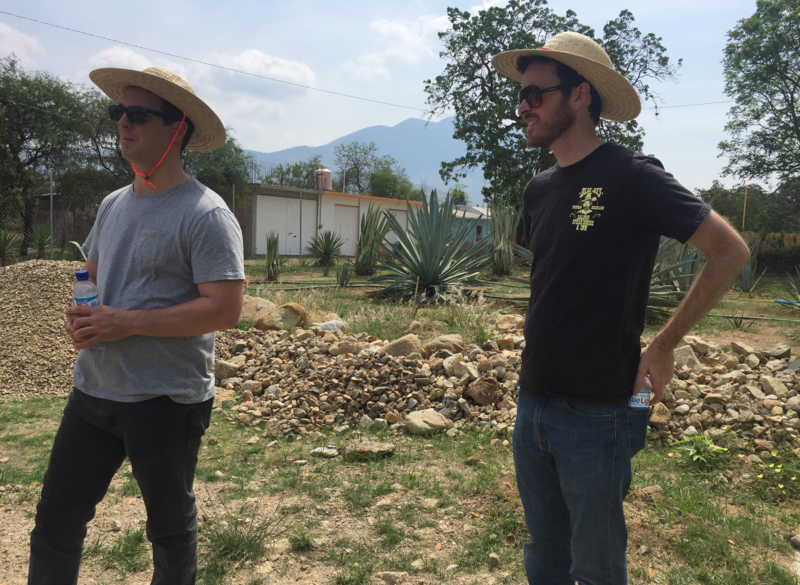 A: There are some great mezcal blogs out there, but when we first started getting into mezcal it was hard to find information about individual mezcals without holding the bottle in your hand. You’re lucky if you can do this at a bar and even then, the information on the bottle might not be very informative. We wanted a website that had as much information as possible about every bottle we came across so we could choose wisely and try interesting mezcals. Having the bottles categorized by state, town, mezcalero, etc…is meant to help fellow agave fanatics find mezcal that they really enjoy. For example, perhaps people like mezcal from a certain mezcalero, or from a certain town. Our site will help them identify more mezcal that they may enjoy. Some people might not realize that the same mezcalero might work for different brands. We discovered that ourselves when doing research and have found some interesting connections. We also hope the site creates more of an online community for mezcal around the world. Some of the people using the site know way more about mezcal than we do, and that’s great! We’re learning just like everyone else, and we welcome anyone to write reviews of the bottles on our site. The blog part of our site was more of an afterthought when we first started, but now that we’ve done things like traveling to Oaxaca it is only natural to want to share what we learned. Q: Another thing i really really liked is the option for sorting by mezcalero. These wizards of the spirits industry are largely unknown to most drinkers. Is it not difficult to find the names of these people when you put up a product on your site? A: It’s very difficult to find the mezcalero information for some brands. 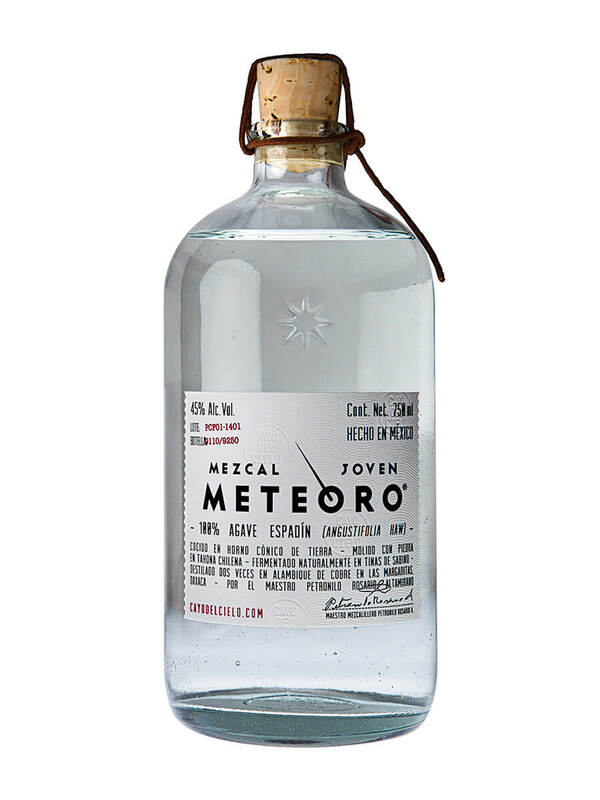 Many brands will simply write the name of the mezcalero on their bottles, which is great, but others do not print that information on the bottles. In cases where it is not on the bottle, we typically contact the mezcal brand to get that information. Most of the time, the brand has that information and they’re willing to share it with us for the website. Sometimes they have the information, but they don’t want to share it. Occasionally a brand will have no information about the mezcalero that made their mezcal. It seems odd that certain brands have no idea who produced certain batches, but we’ve gotten that response from some of them. Q: There is a vast amount of mezcal on that page – have you really tasted it all? A: We haven’t tasted everything on the website, but we’ve tasted a lot of it. Between the two of us we’ve sought out and enjoyed mezcal on three continents. Our travels include many US cities and of course, Mexico. We also just drink a lot of mezcal. There are certain bottles on the site that are incredibly rare and we are always on the lookout for those. It’s really great to see reviews come in on those rare bottles even when we cannot find them ourselves. 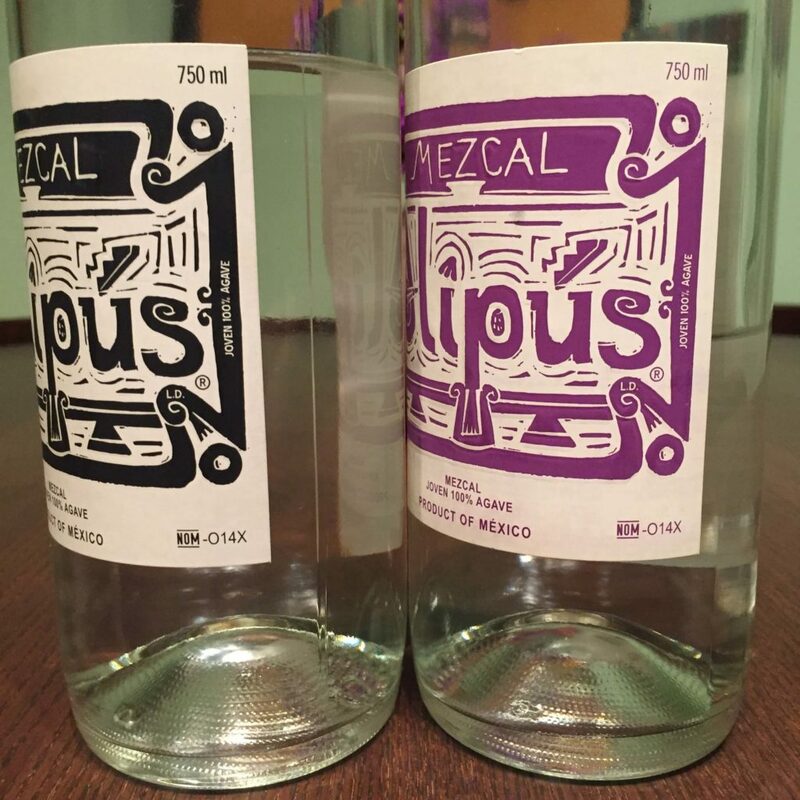 Alipús is a social project that seeks to generate rural economy in Oaxaca through making and commercializing artisan mezcal. These are mezcales jóvenes (unaged), made by a small family distilleries. Q: The world of mezcal – even if it is way older than tequila – seems much younger than that of tequila. I ascribe that in some respect to the influence of a newer generation of graphic designers. The labels are cool – the logos are cool – do you think there is some truth to that claim? A: Marketing definitely plays a role in the success of any product, and I agree that many mezcals have well-designed bottles and labels. I’d credit the growing emphasis on artisanal products on making a bigger impact on mezcal’s recent international popularity. People really want things that are handcrafted, not industrially produced. Mezcal definitely fits in that category. I agree that mezcal seems much younger and newer internationally. It’s really just starting to get popular in a lot of different countries, but as you mentioned, mezcal is older than tequila. Tequila is really just a type of mezcal that began being made with blue agave in certain regions of Mexico. Mezcal has been around for hundreds of years, and you can definitely feel that age in Oaxaca. Drinking mezcal there is very different from drinking mezcal outside of Mexico. Q: One of the ongoing discussions regarding mezcal is about sustainability. When tequila took off from the larger world of mezcal and got its denomination, part of that process led to tequila producers needing to produce faster and thus introduced the brickoven, the shredder etc. All concepts frowned upon by the afficionados of the agave world. Do you think mezal producers can abstain from going into some sort of product development in order to be able increase production? A: Some low-quality mezcals are already being produced using advanced modern technology that is similar to what is seen in tequila production. The artisanal nature of mezcal is at the heart of the culture that surrounds it. Mezcal is not chemistry like many other modern spirits. Mezcal is art. In order for Mezcal to retain its true character and beauty, mezcaleros need to continue using the traditional methods of production. The difference between artisanally produced spirits and industrially produced spirits is astounding. This can be seen in the tequila world as well. A Siembra Valles Ancestral or Forteleza, which are more traditionally produced, tasted very different from the more common, industrially produced tequilas. A: Jonny’s favorite is the Real Minero Pechuga. This pechuga is made from a recipe that is several hundred years old. It’s perfectly balanced between notes of chicken and notes of spice. Tyler’s current favorite is the El Jolgorio Arruqueno which is released once a year in a small batch.